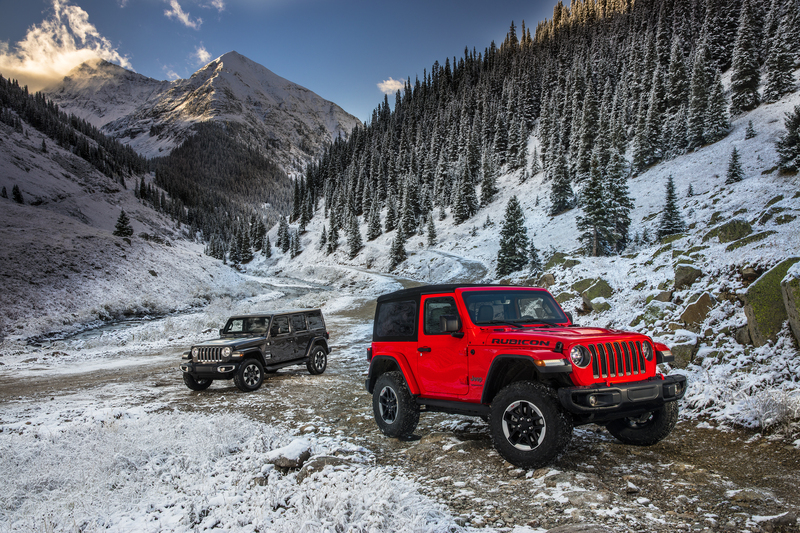 While we still wait with baited breath for the second-generation Land Rover Defender and Mercedes-Benz G-Class, an off-road icon from ‘across The Pond’ has already been given a much-needed makeover with the new 2018 Jeep Wrangler unveiled at this year’s Los Angeles Auto Show. 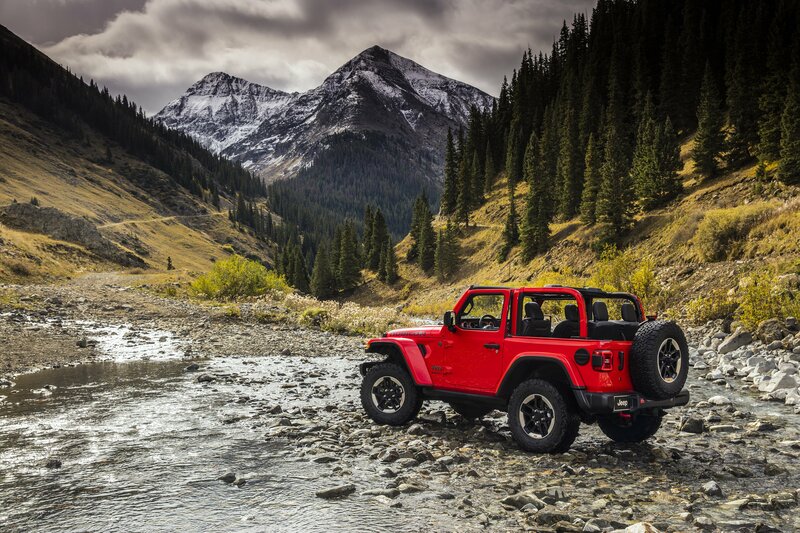 Unquestionably holding true to the design of the original launched at the Chicago Auto Show 32 years ago [Yep, we’re feeling old too – Ed], the 2018 Jeep Wrangler has had some of its squarer edges smoothed off for its latest reboot. 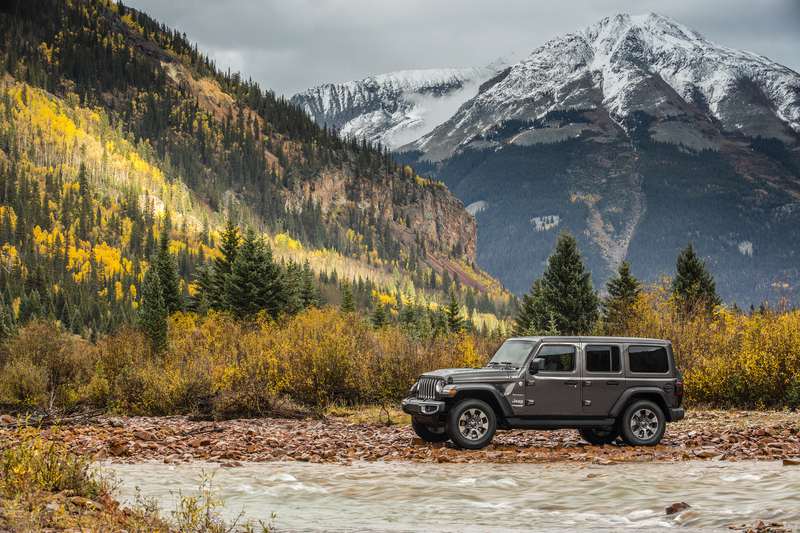 The US manufacturer has worked had to ensure that the 2018 Jeep Wrangler is better than ever should you choose to head off the beaten track. 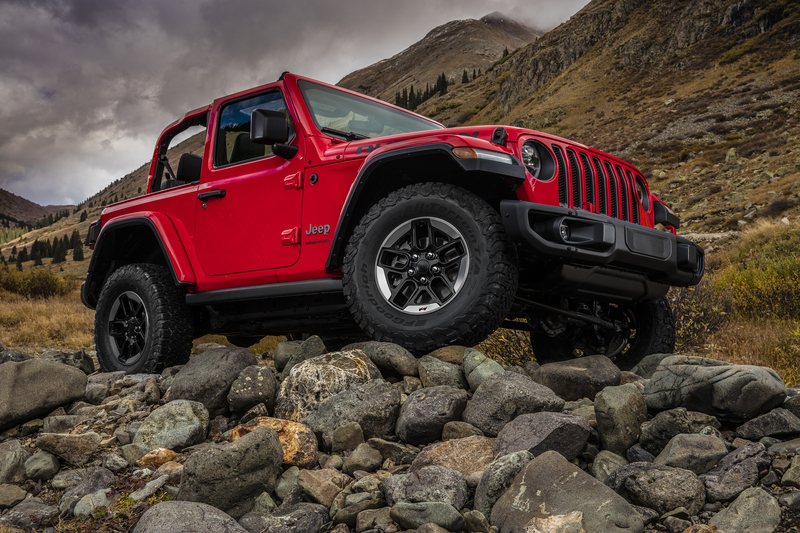 Rubicon models get an improved version of the ‘Rock-Trac’ 4×4 system, providing increased articulation and suspension travel if things get particularly craggy. 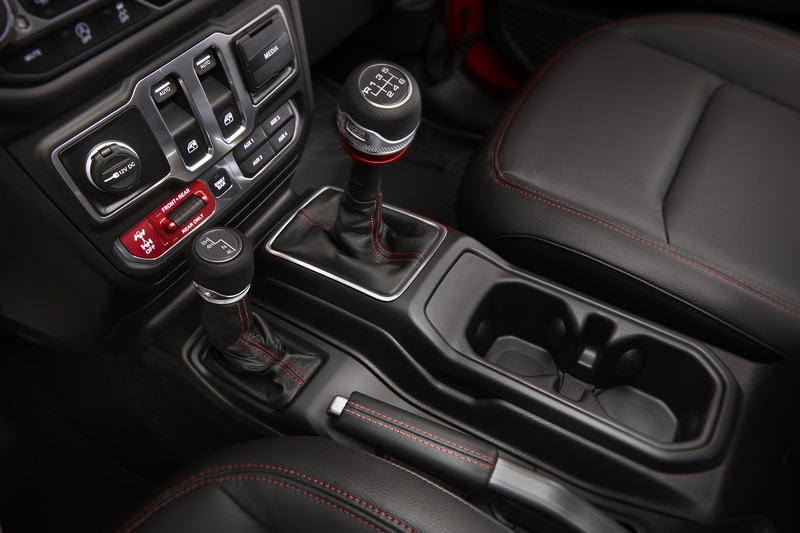 There’s also a new eight-speed auto ‘box option, making your off-road adventures even easier. 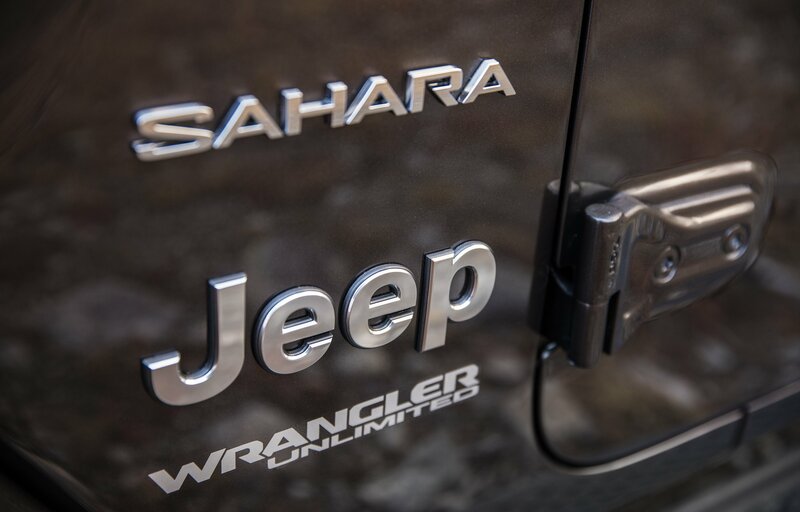 Opt for an updated Wrangler Sahara and, for the first time ever on a Wrangler, there’s the option of the ‘Selec-Trac’ two-speed transfer case with a super-low gear ratio and full-time four-wheel drive. 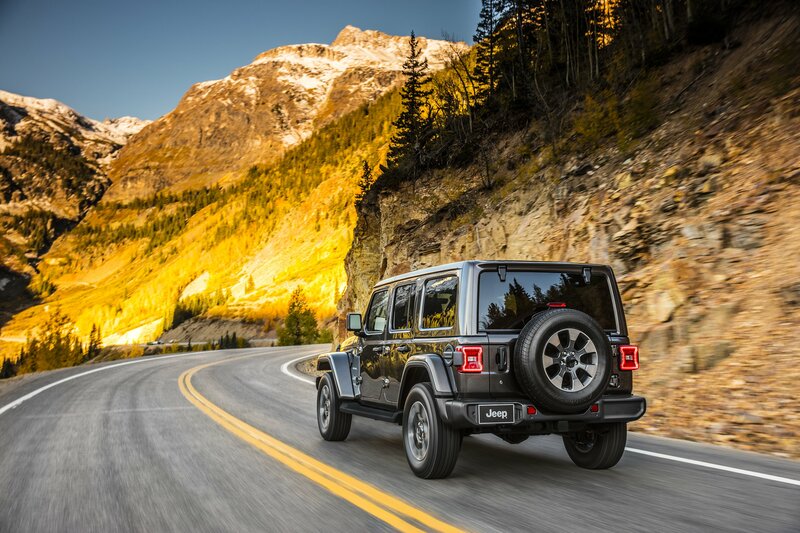 As with previous iterations, the 2018 Jeep Wrangler gets a myriad of body, windscreen and roof options, allowing you to fully personalise your off-roader to your needs. On top of the fold-down windscreen, there’s a new electrically-folding soft-top option rolling out in Q2 of 2018, providing alfresco off-roading at the touch of a button, while there are also new, quieter ‘Sunrider’ soft-top and body-colour hard-top options. 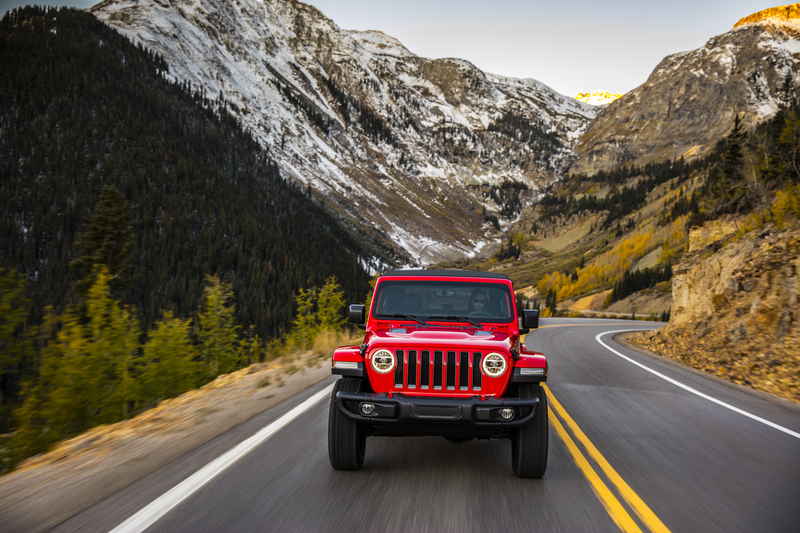 Inside, the new Wrangler has been given a thorough overhaul. 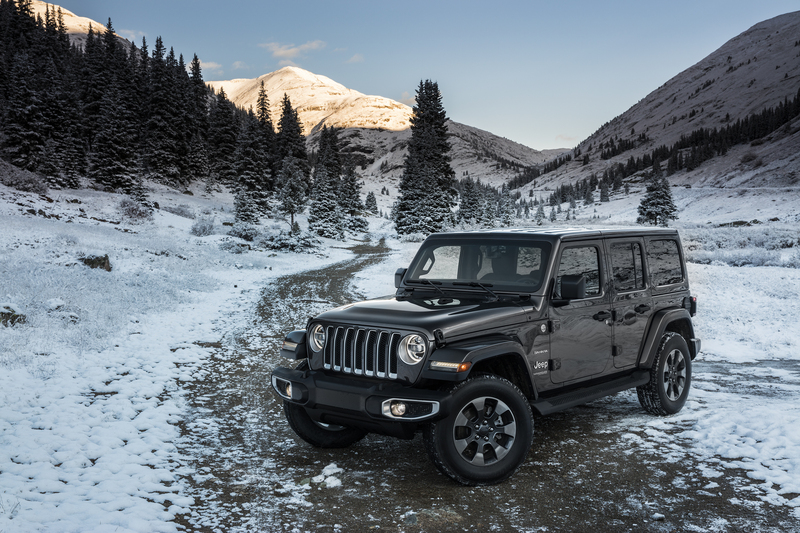 Exposed bolts around the gear shifter hints at the Jeep’s utilitarian construction while the choice of three new infotainments systems brings the Wrangler firmly into the 21st Century. The 5.0, 7.0 or 8.4-inch screens bring the latest ergonomics (such as pinch-and-zoom) along with the introduction of Apple CarPlay and AndroidAuto functionality. 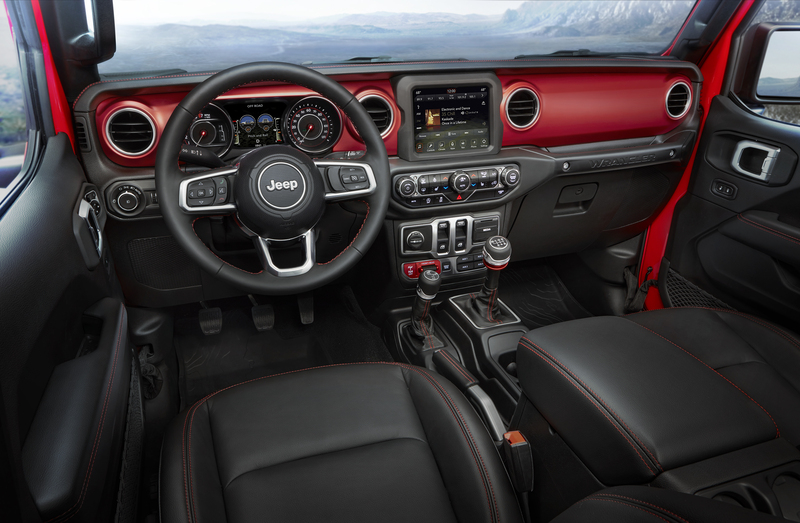 There’s also a 3.5-inch (and, where available, a 7.0-inch option) TFT dashboard screen, with the larger dial set allowing a range of customisable displays, tailoring the new Wrangler’s vital stats to your driving needs. 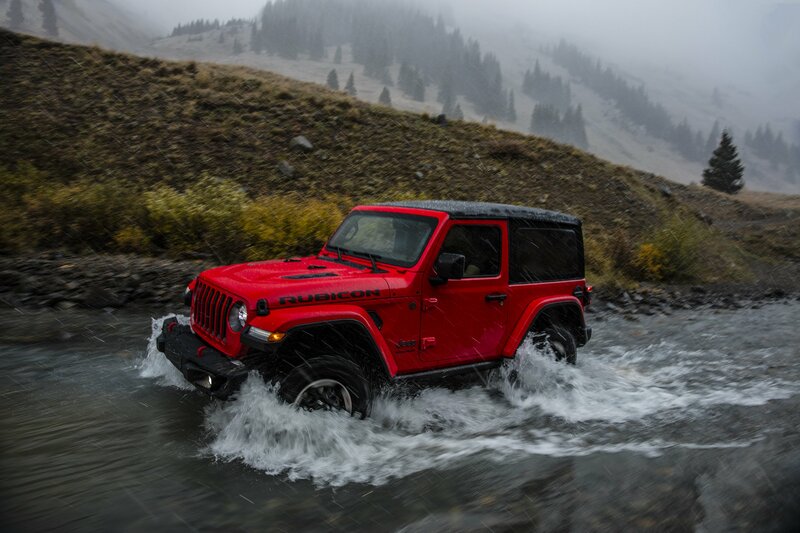 Engine-wise, us limeys won’t get any further details until closer to the Wrangler’s European launch however, in the good ol’ US of A, the new Jeep gets a new 2.0-litre four-cylinder petrol powerplant with a V6-rivalling 270hp. 2019 will also bring an all-new 3.0-litre ‘EcoDiesel’ V6.